Even if your wallet is feeling a little thin, you can still buy quality rugs for your home. There are cheap area rugs that are everywhere if you search for them, helping you add a nice little accent to any one of the rooms in your home. Search for discounts or go to stores with only discounted items and you’ll end up finding a variety of rugs to pick and choose. When you find a few rugs that match your style, make sure that you know where you’ll be placing the rugs and how large the spaces for the rugs are. Even before you go out the door, make sure to measure the area for the rugs to get the appropriate rug sizes. Take note of the color scheme of the room as well, making sure you choose rugs that compliment the color of the room. Snap a picture or two of the rooms you plan on upgrading with rugs. This will save you from questioning yourself when you find a rug that might work, but don’t quite remember the exact color of the room. Make sure the rugs are functional, as well as it stylishly fits your particular living space. 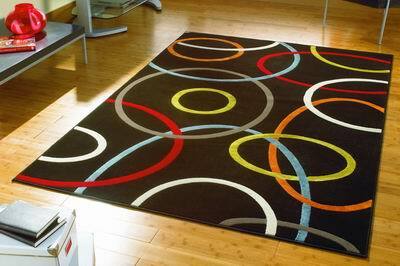 Remember that most rugs are made of synthetic materials, meaning they can easily be cleaned. Make sure to vacuum the rugs normally, as you would your carpets (about once a week, depending on how often people step around the room). While vacuuming, be careful not to vacuum the fringes on the ends of the rug. Every once in a while, you should also shampoo your carpet to extend its life. 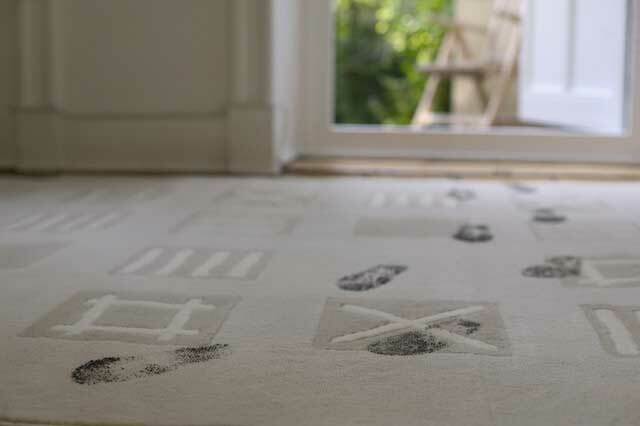 You can also buy padding to place underneath the rug, preventing the rug from slipping. Some rugs come with padding, so make sure to check before you purchase the rug.